There are times when I look outside and see something that makes me grab my camera and go. In this most recent case; first, it was the dark sky on the eastern horizon as the sun was rising after a night of thunderstorms. 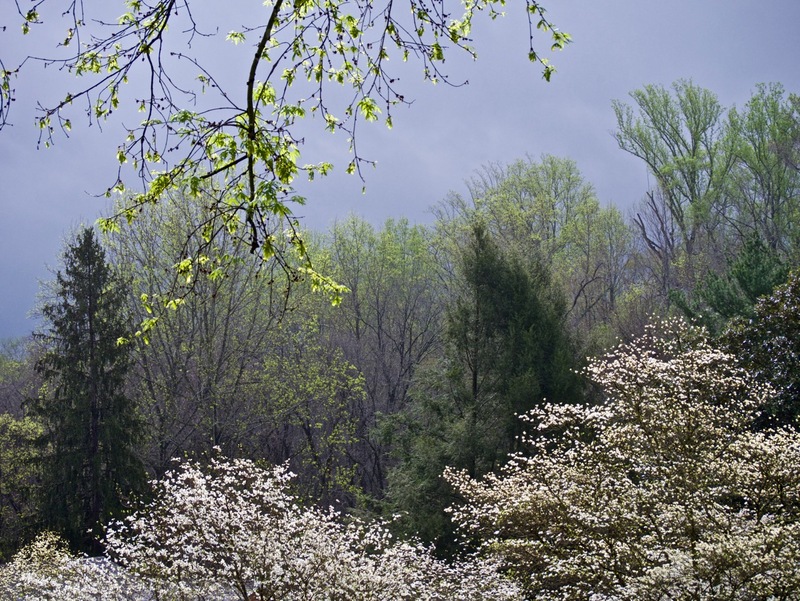 The light on the trees backed by the dark clouds is what did it for me. 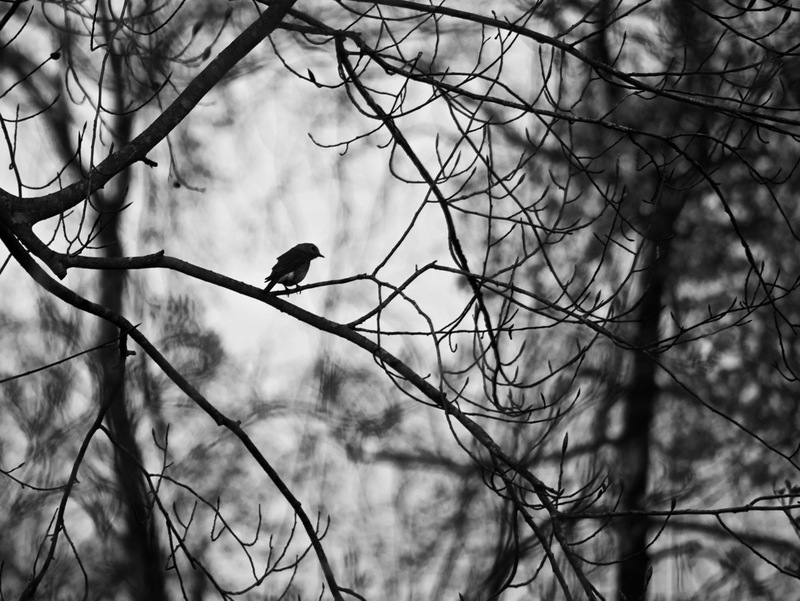 The second instance was the bird in a tree out back, sitting alone on a limb. I felt the image would look best in black and white. 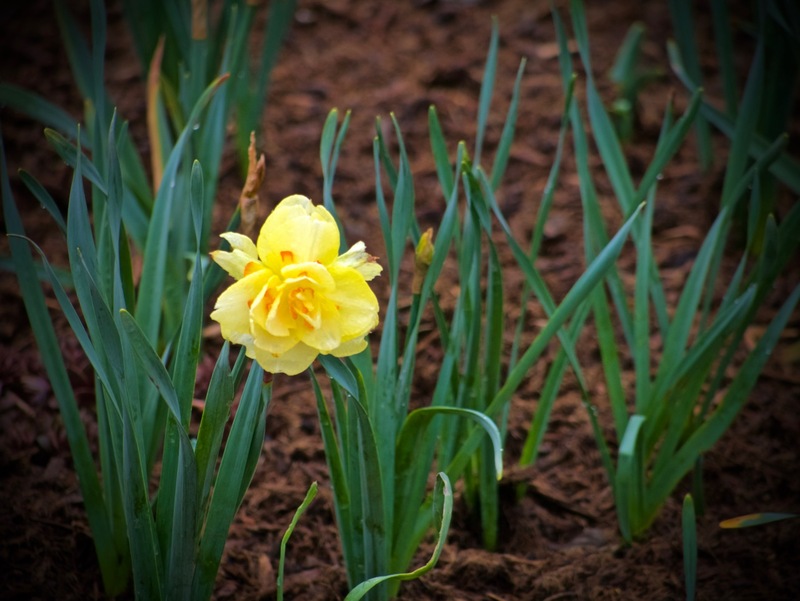 And lastly, it was one of the last daffodils to bloom, out of many this spring. This one had some red color on top of the yellow, so I felt it would look nice close up. Springtime is a special time for photography. But alas, soon many of the bright colors will be replaced by shades of green. Still, there’s nothing wrong with that. Just makes for some more photo fun.